December 22, 2015 – It’s Christmas week so everyone is jamming getting restaurant sales up and delivering on brand promise (We Hope). So this will be a short post. As I have written previously, it’s a real honor to work with CEO and Executive Producer Paul Barron and the Foodable WebTV Network Team. Eric Norman, FCSI and I get a real kick out of co-hosting Rock My Restaurant. We also get the opportunity to work with some really SMART restaurant industry people like Foodable Managing Editor Jessica Bryant. Jessica is Managing Editor of the Foodable WebTV. 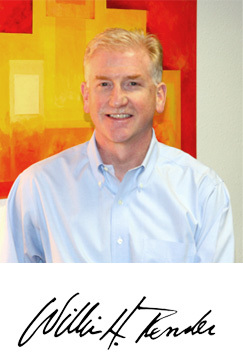 Eric and I were both asked to serve on the Foodable Technology Advisory Board. Over 180 tech companies submitted products to be included. It is difficult to determine the vast amount of technology options that operators now face in the decision making process – especially being based in San Jose, California, THE Capital of Silicon Valley. It’s was real challenge and one that Jessica tackled head on. The process, scoring system, metrics are explained and you will meet the members of the Advisory Board in the RT Guide. 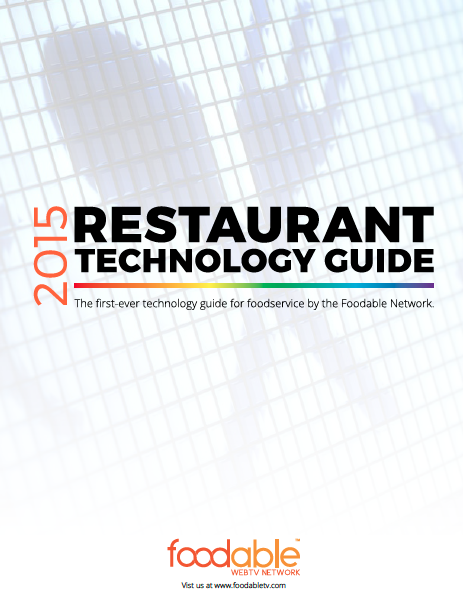 You are welcome to download and review the 2015 Restaurant Technology Guide. 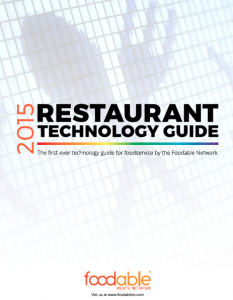 Thank you to Paul, Jessica and the FoodableTV team for making this available to the Restaurant Industry. If you want to learn about getting your restaurant or foodservice brand Rocking in 2016 please contact me to schedule a call or meeting to discuss how we can assist you grow your brand in 2016. It’s up to you to take the first step. Merry Christmas and a very happy 2016 New Year!